South Asia at UC San Diego – Events, research, and teaching related to South Asia on campus. The South Asia Initiative is an independent inter-divisional effort at UCSD to promote discussion and exchange about South Asia. We support research, bring speakers, and sponsor courses toward an undergraduate minor in South Asian Studies. We host weekly seminars and round table discussions on Thursday afternoons. Our 2018-19 Steering Committee members are: Vineet Bafna (CSE), Prashant Bharadwaj (Economics), Jana Fortier (Anthropology), Teevrat Garg (GPS), Lilly Irani (Communication), Aftab Jassal (Anthropology), Gaurav Khanna (GPS), Vish Krishnan (Rady School), Ramya Rajagopalan (Institute for Practical Ethics), Gayatri Singh (Library), Saiba Varma (Anthropology), and Kamala Visweswaran (Ethnic Studies). Contact us to learn more, follow us on facebook, and join us at one of our events this quarter. 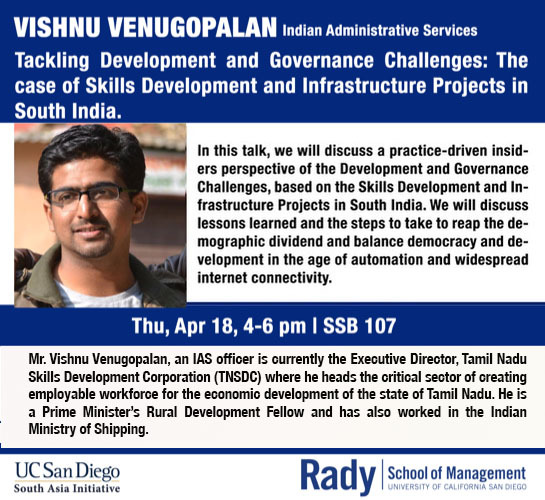 Thu, Apr 18, 2019: Vishnu Venugopalan (Indian Administrative Services) on Tackling Development and Governance Challenges: The case of Skills Development and Infrastructure Projects in South India. 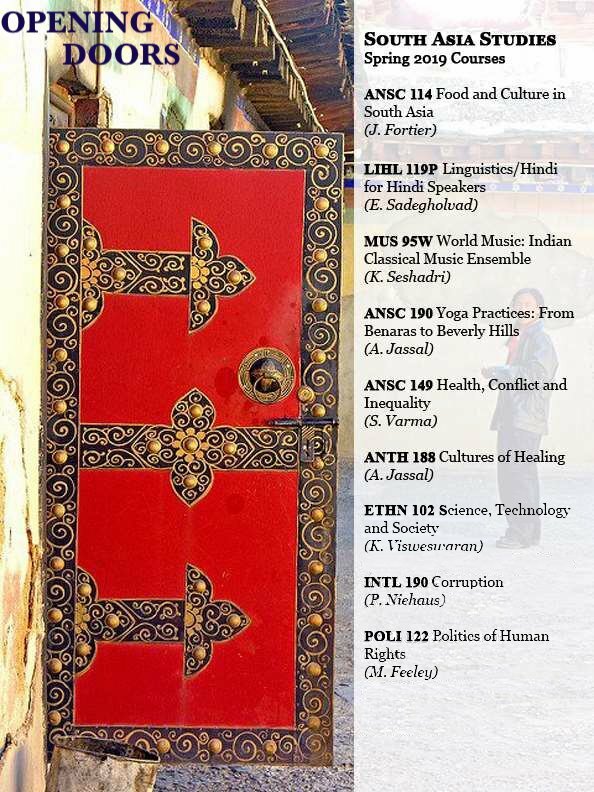 SAI is pleased to announce that a new minor in South Asian Studies has been approved by the UCSD Academic Senate. Students may begin to declare the minor in January 2019. 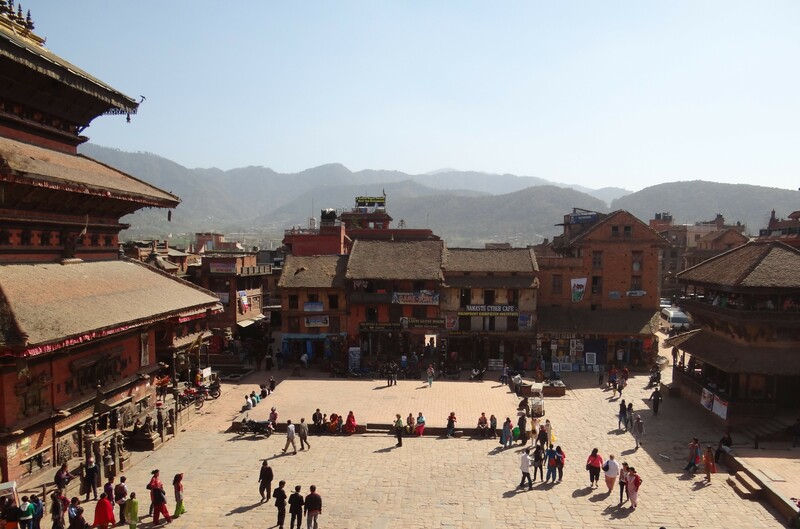 South Asia related classes that are offered in Spring can be found here. For questions contact: Kamala Visweswaran, Faculty director, South Asian Studies minor program.